Congratulations to Kaitlin Andrey, recipient of the NSPRA Dawn K. McDowell Memorial Scholarship. 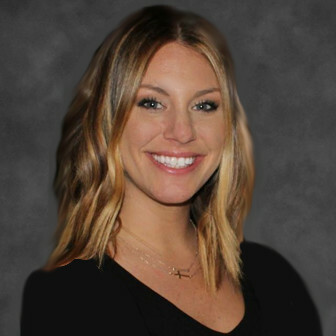 Kaitlin is the communications and development specialist for the North Penn School District in Bucks County, Pennsylvania. The scholarship is awarded annually to a school communications professional who exemplifies the qualities of its namesake Dawn K. McDowell. The scholarship provides one registration to the NSPRA National Seminar. Dawn K. McDowell, APR, was a respected NSPRA member and past NSPRA President who passed away from cancer in January 2006 at the age of 50. Known as a consummate public relations professional who was dedicated to improving communication in public schools, Dawn served as communications coordinator in school systems in Minnesota before moving to Toronto, Canada, where she transitioned into corporate public relations, eventually serving as executive vice president and managing director of GPC International. Dawn was a loyal colleague, friend and mentor to many MinnSPRA and NSPRA members and remained an active and supportive member of NSPRA throughout her career. The Dawn K. McDowell Memorial Scholarship is administered by the NSPRA Foundation for the Advancement of Education and is made possible by the generous donations of the McDowell family and MinnSPRA in Dawn's memory.